The Triple T range covers a wide variety of commercial vehicle oils. Including Ultra-High Performance Diesel Lubricants which are formulated to provide excellent piston cleanliness, wear protection, soot handling, lubricant stability and fuel economy benefits for the latest generation of commercial vehicle engines. Triple T UHPD’s have been developed to surpass the key commercial vehicle specifications giving maximum coverage and extended drain capabilities. Super High Performance Diesel lubricants which are formulated to provide excellent piston cleanliness and effective control of bore polishing for the latest generation of commercial vehicle engines. Triple T SHPD’s are suitable for vehicles fitted with after treatment devices such as Diesel Particulate Filters (DPF), Exhaust Gas Recirculation (EGR) or Selective Catalyst Reduction (SCR) systems. Finally, Super Tractor Oil Universal; these are designed for engine, axle, brake and hydraulic applications. The universal nature of these fluids results in reduced complexity, inventory and cost. STOU’s are based on technology with proven field experience of over 600,000,000 hours. Carlube Triple T 5W-30 UHPD E6/E9 is an ultra-high performance fully synthetic low SAPS (Sulphated Ash, Phosphorous and Sulphur) and fuel efficient diesel engine oil. 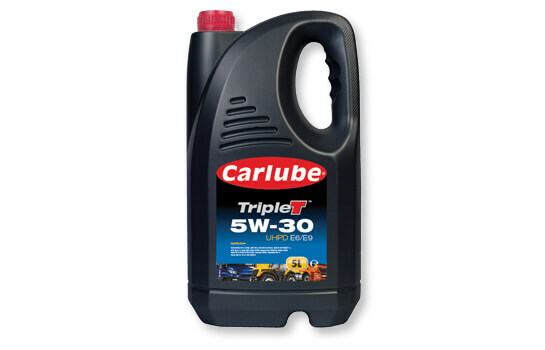 Carlube Triple T 5W-30 UHPD E6/E9 is specially formulated for use in high performance diesel engines including those fitted with the latest emission systems and for use in fleet trucks and vans, agricultural, off-road and construction applications. Carlube Triple T 10W-40 UHPD E4 is an Ultra High Performance Diesel Lubricant formulated to provide excellent piston cleanliness, wear protection, soot handling, lubricant stability and fuel economy benefits for the latest generation of commercial vehicle engines. Carlube Triple T 10W-40 UHPD E4 has been developed to surpass the key commercial vehicle specifications giving maximum coverage and extended drain capabilities. Carlube Triple T 10W-40 UHPD E6/E9 is an ultra-high performance, fully synthetic low SAPS (Sulphated Ash, Phosphorous and Sulphur) engine oil. 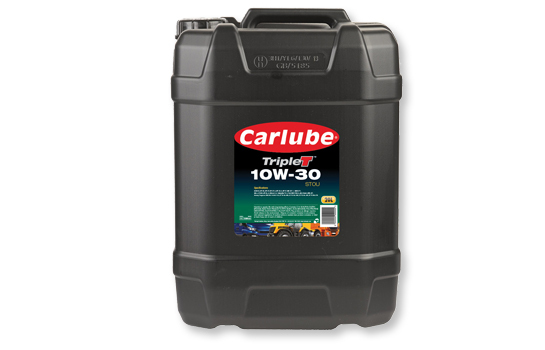 Customers using Carlube Triple T 10W-40 UHPD E6/E9 will benefit from superior protection for the engine and after treatment system in all climatic conditions. 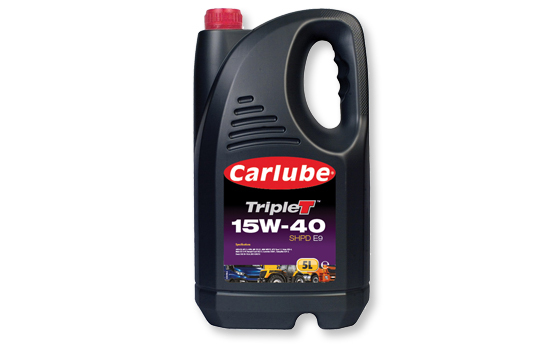 Carlube Triple T 10W-40 UHPD E6/E9 is a versatile engine oil developed for mixed fleet applications. Triple T 10W-30 SHPD E9 is a Super High Performance Diesel lubricant which offers 50% more protection against wear and fuel economy benefits. Triple T 10W-30 SHPD E9 is suitable for vehicles fitted with after treatment devices such as Diesel Particulate Filters (DPF), Exhaust Gas Recirculation (EGR) or Selective Catalyst Reduction (SCR) systems. Triple T 10W-30 SHPD E7 is a Super High Performance Diesel lubricant formulated to provide excellent piston cleanliness and effective control of bore polishing for the latest generation of commercial vehicle engines. Triple T 10W-30 STOU is a Super Tractor Oil Universal for engine, axle, brake and hydraulic applications for reduced complexity, inventory and cost. Balanced friction performance gives precise clutch and brake operation. Triple T 10W-30 STOU provides resistance to water contamination by offering rust and corrosion protection.